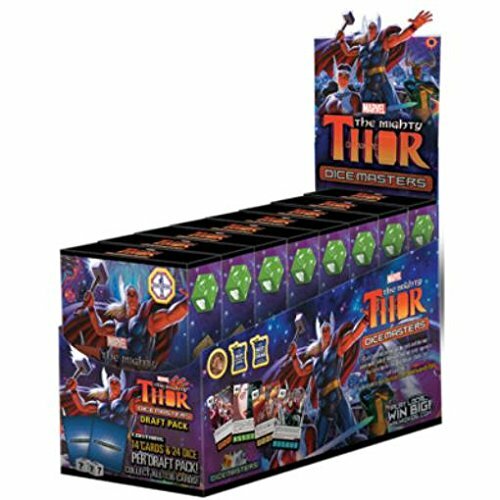 The Mighty Thor Dicemasters Draft - Take Two — GamingWithSwag.com - Dads By Day, Gamers By Night. After enjoying our first round of drafting from the new Mighty Thor draft packs for Dice Masters from Wizkids we decided to take another stab at it and roped in Bobby another of our writers who has never drafted before but is familiar with the game. 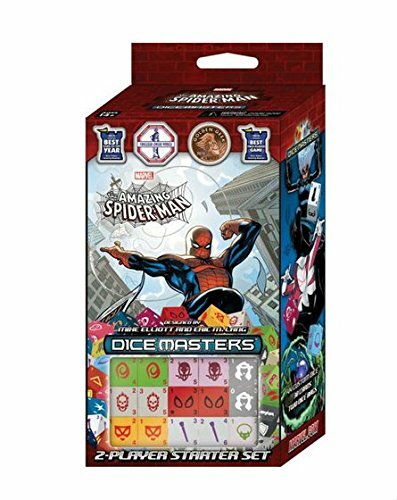 If you are new to Dicemasters I think this is a perfect way to enter the game and for vets of the series the draft packs are a great value to build your collection. You play you just need to pair a draft pack for each person with any starter set so you have all the base dice and such. Below you can see the teams we drafted and a little breakdown on the strategy of the thrown together teams. This is my draft and of course it is the best. I love the Surtur rare I pulled, but the real heavies of this set is getting all three of Thor's buddies Volstagg, Fandral, and Hogun. If you have all three out at the same time they are immediately some of the strongest characters in all of the game. I would fill the rest of the team out with cheaper characters to help me ramp up. Nick Fury and Karnak would be my early heroes, as both Pepper Potts and Jane Foster have no use since I didn't end up drafting an Iron Man or Thor. Bobby went all in on the synergy between characters with the "Immortal" keyword. They all happen to be expensive but if he gets ramped up to them it would be tough to put the team down. He also stole both Thor cards so my Jane Foster got lonely and stopped appearing in the Marvel movies. Chris wants to wield Mjolnir. Chris liked the trouble that Mjolnir brings if it knocks a bunch of characters right out, and when paired with Balder who can only be blocked by 2 characters and Crystal who forces your opponent to reroll any level 3 characters they get making them more likely to get wrecked by Mjolnir. It is a cute combo, but if he can't line that up on the regular I think he has less synergy than the other two decks. But wiping out a team and then raining on damage unblocked just once could win the game.